Warfare History Network » Rose Greenhow: The South’s Secret Weapon in the Battle of Bull Run? Rose Greenhow: The South’s Secret Weapon in the Battle of Bull Run? HomeDailyCivil WarRose Greenhow: The South’s Secret Weapon in the Battle of Bull Run? “But for you, there would have been no Battle of Bull Run.” - Confederate President Jefferson Davis to D.C. widow Rose Greenhow. But just who was she? When Confederate President Jefferson Davis made that blanket statement in the summer of 1862, he was not addressing Pierre G.T. Beauregard, Joseph E. Johnston, or any of his other generals who had taken part in the war’s first major battle in July 1861. Instead, he was talking to Rose Greenhow, a slightly built widow in her mid-40s who had never seen any battles in Virginia. Rose Greenhow was born in 1817 into a wealthy family in Montgomery County, Md. With her husband, Dr. Robert Greenhow, and their growing family, she travelled throughout the United States until 1854, when Dr. Greenhow died in California. Instead of staying in the West, Greenhow decided to move back to the Washington, D.C., area with her four daughters. With her money and background, she quickly became a leading member of Washington society. She and her daughters took up residence in a fashionable quarter of the city, on the corner of Thirteenth and I streets, not far from the White House. In fact, she frequently visited the White House as the guest of President James Buchanan and, afterward, of President Abraham Lincoln. Despite her continued visits to the White House, Rose Greenhow was anything but a supporter of Lincoln and his new Republican government. Her parents had been slave owners, and her father had been murdered by one of his slaves. Like the rest of her family, she was avidly pro-slavery and anti-abolitionist. When the southern states began seceding from the Union, Greenhow became an open supporter of the new Confederacy. The assistant quartermaster for the United States government, Captain Thomas Jordan, was also the main recruiting officer for Confederate spies in Washington. Because Greenhow’s pro-southern leanings were so well-known, Jordan approached her to work for the Confederate cause. Greenhow not only agreed to spy for the South, she also offered to organize her own spy network. It did not take long for Greenhow to put together an espionage ring that would prove to be highly efficient and productive. By the time Fort Sumter was attacked in April 1861, Greenhow’s network consisted of at least 16 contacts. Among them was a Secret Service agent assigned to Maj. Gen. George B. McClellan’s staff; clerks in the Navy Department, the Adjutant General’s office, and various other government departments; at least one Union soldier; employees on the staff of several senior Army officers; a banker; a dentist; and a number of other well-connected people in and around Washington. The organization looked fine on paper, and operatives under Rose Greenhow soon began passing information between Washington and Confederate intelligence personnel in Virginia. But the first real opportunity for her spy network to prove itself came in July 1861. After the Confederacy had decided to transfer its Congress from Montgomery, Ala., to Richmond, Va., Abraham Lincoln called a cabinet meeting attended by several generals, including 75-year-old General Winfield Scott, the commanding general of the United States Army. The purpose of the meeting was to determine what should be done about a Confederate force that had assembled in the vicinity of Manassas Junction, about 25 miles west of Washington. Scott suggested that the Confederates, under the command of General Pierre G.T. Beauregard, should be attacked and dispersed, and that the attack should be led by Brig. Gen. Irvin McDowell, with a force of just over 30,000 men. Beauregard’s force had taken up a position near a small stream called Bull Run. It was estimated that there were about 25,000 Rebels, and their position was not considered formidable. The main worry was that a second Confederate Army, under General Joseph E. Johnston, might reinforce the Rebels at Manassas. Johnston’s force of about 10,000 was then situated in the Shenandoah Valley. If Johnston could get to Beauregard, either before or during the attack, McDowell and his men would be in serious trouble. Rose Greenhow’s operatives soon got word of the Union intentions, and they were able to gather all the information that Beauregard needed to know about the enemy. Thanks to Greenhow and her spies, Beauregard even had a copy of the orders that McDowell had issued to his troops. Johnston was informed of the impending battle and ordered to go to Beauregard’s immediate assistance. Because of Rose Greenhow’s warning, Johnston was able to start for Manassas before Union Army troops could do anything about it. McDowell attacked Beauregard’s position on Sunday, July 21, and began to push the Confederates into retreat. But the Union push was blunted by troops under Brig. Gen. Thomas J. Jackson, who would become known as “Stonewall” Jackson for his stubborn holding action at Bull Run. This allowed Johnston’s 10,000 men enough time to arrive on the field and turn the tide of battle. The combined forces of Beauregard and Johnston subsequently routed McDowell’s men, who broke and ran from the field. 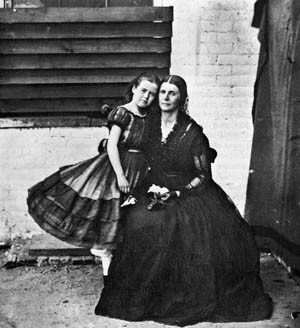 Immediately after the battle, Rose Greenhow received another note, this one from the Confederate government at Richmond: “Our President and our General direct me to thank you. The Confederacy owes you a debt.” It did indeed. Without her intelligence, Johnston’s men would never have reached Manassas on time, and the battle—and possibly the war—would have had a far different outcome. After the rout at Bull Run, Winfield Scott was replaced as overall commander by Maj. Gen. George B. McClellan. McClellan brought his own personal spy with him, a Scottish immigrant named Allan Pinkerton. Pinkerton had become the first professional detective in Chicago in 1850, and had made a reputation for himself as one of the top detectives in the country. At the end of July 1861, he was given the assignment of keeping Rose Greenhow under surveillance. Tags Abraham Lincoln, Allan Pinkerton, Battle of Bull Run, Battles in Virginia, Confederacy, Confederate Army, Fort Sumter, general george mcclellan, irvin mcdowell, Jefferson Davis, Richmond, Shenandoah Valley, Stonewall Jackson, Union Army, United States, Winfield Scott. Read “Liar Temptress Solder Spy” by Karen Abbott. Fabulous book about four women, two Union and two Confederates and their contributions to the war, including Rose Greenhow.